Rich in natural resources and set against the backdrop of the spectacular Himalayan hills, Arunachal Pradesh is home to several tourist attractions. Six kilometers from state capital Itanagar and 22 kilometers from the Naharlagun Railway Station, is the picturesque Ganga Lake, a natural water body, a popular tourist attraction. Locally known as Gyakar Sinyik in the Nyishi dialect, the Ganga Lake is known for its beauty, serenity and lush green flora. "The entry fee at the gate is Rs. 20 per person and we charge Rs.10 and Rs.20 for two vehicles and four vehicles respectively and we charge Rs.100 for the boat regardless of the number of people sitting in the boat. Whether you are alone or in a group of four, you have to pay Rs.100. We charge Rs.150 for the swimming pool from adults and Rs.50 from children below 12 years," said caretaker Tasik Tania to ANI. The lake is open to tourists six days a week except Monday. It is home to primeval vegetation, towering groves and stretches of orchids and elegant forest trees. 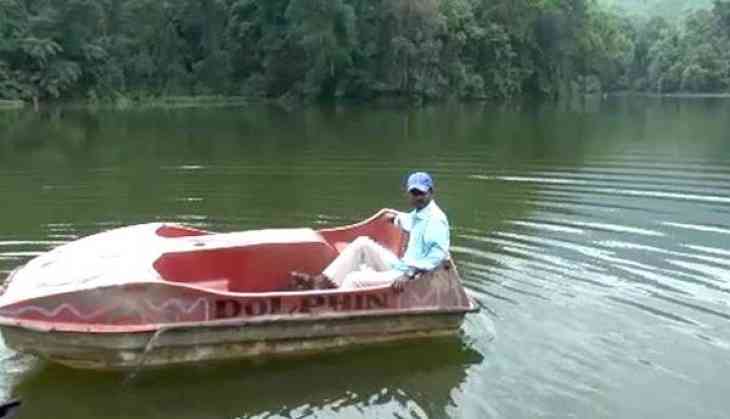 Apart from boating, the lake also has a family park and a swimming pool which is under maintenance. The lake is also an ideal picnic spot. "I take care of boating over here. The lake opens at 9 a m in the morning and closes at 5 p m in the evening. And it is closed on Monday, and for now, we are getting fewer visitors but on Saturday and Sunday," said another caretaker Rajnath. The beautiful water body has long helped visitors unwind in its peaceful environment and imposing mountains. However, the road link to the lake could use some repair work to further boost the tourist inflow.